They’re loud. They’re clear. They’re nearly indestructible! 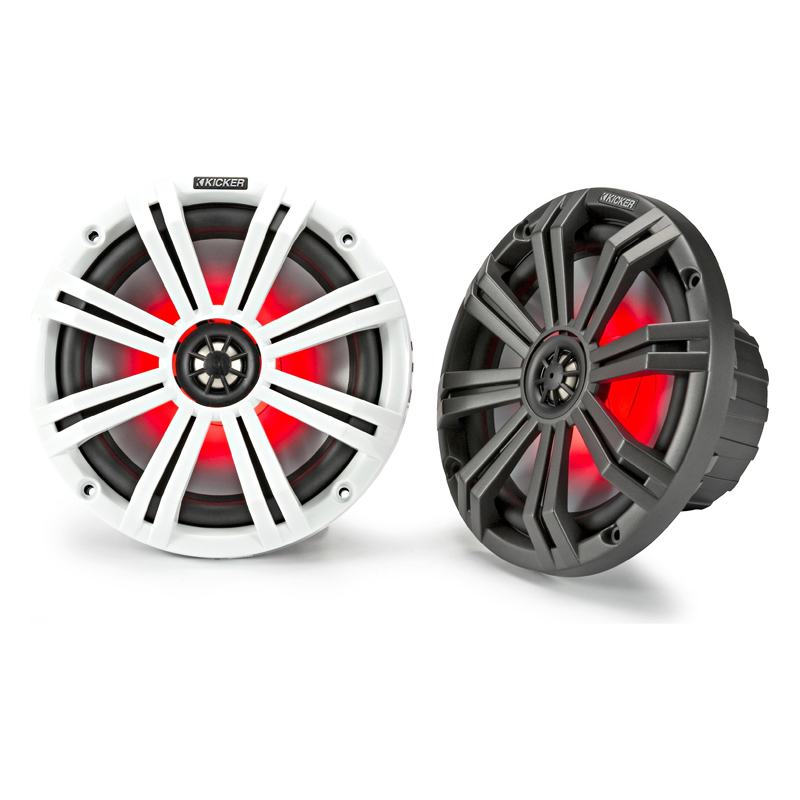 The KM Coaxial Marine Speakers are built to pump out the tunes – and the fun - for years to come! Whether you mount your speakers in the hull or in KICKER® tower enclosures, you also get a pair of stout marine-grade grilles! The KICKER logo means it sounds great and last for years. Whether your boat is in salt or fresh water, we know you need spectacular highs and lows to get that quality, full-range audio designed specifically for a marine environment. All KICKER Marine Coaxials meet or exceed ASTM standards for humidity and corrosion* as well as for material degradation due to UV exposure. 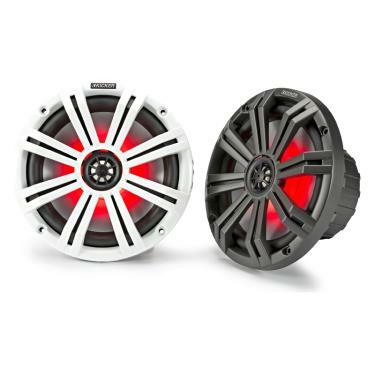 ** They also come with rustproof, 316L stainless-steel speaker hardware. Choose the KM 6.5 or 8-inch Marine Coaxials for an awesome LED light show! You get a choice of seven colors to make your boat shine, or add the KMLC LED controller to unlock 20 colors and 19 wild lighting modes!